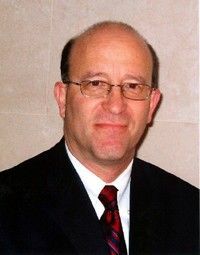 Howard Weinstein joined AXA Advisors and AXA Equitable in Los Angeles in 1985 after working for the University of Southern California. Based on his outstanding leadership skills Howard served ten years as Vice president of AXA Advisors' Northeast Division. In that capacity he was responsible for recruiting and training individuals to become financial professionals. Today, as a registered representative of AXA Advisors, LLC and an agent of AXA Network, LLC. Mr. Weinstein provides a wide range of insurance and investment products and services to help individuals and businesses create and protect assets. Through his affiliations he is able to offer his clients products from dozens of insurance carriers and mutual fund families. During his career, Howard has earned many industry honors, designations and recognitions, including: his CLU and ChFC designations from the American College placing him as one of the select five percent of his peers who earn these professional designations*; a fourteen-time achiever of AXA Advisors National Leaders Corp – including one at the Legion of Honor level,one at Centurion and two at the President's Cabinet level; a member of the prestigious Million Dollar Round Table; an eight year recipient of the National Quality Award; and the designation of Life Underwriters Training Council Fellow. In 1999, Howard was inducted into AXA Advisors' prestigious Hall of Fame. Howard prides himself on the level of service he provides and his attention to client needs. He is a graduate of Harpur College and received his Masters Degree from the State University of New York at Plattsburgh. A former VISTA volunteer, Howard and his family reside in Nesconset, New York. Comprehensive Financial Strategies is not owned or operated by AXA Advisors, LLC or its affiliates.